In 1956 Sir Alec Issigonis was commissioned to develop a small and economical family car with space for four persons and their luggage. To achieve this he used a transverse front engine with the gearbox located under it. This completely new and absolutely revolutionary concept was an enormous space saver. Consequently every cm of room in the 3 m long MINI was used and the relation between size of interior and external dimensions was unique and unequalled. The sporty version of the MINI bore the name of the tuner John Cooper. 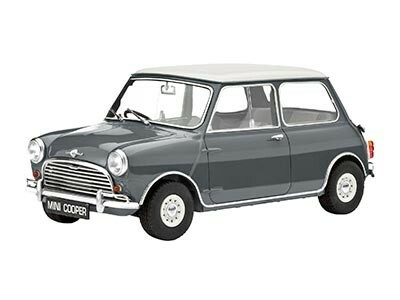 With over 39,000 sold, the MINI Cooper Mk. 1, which delivered 55 hp and a top speed of 139 km/h, was the most successful Cooper variant.